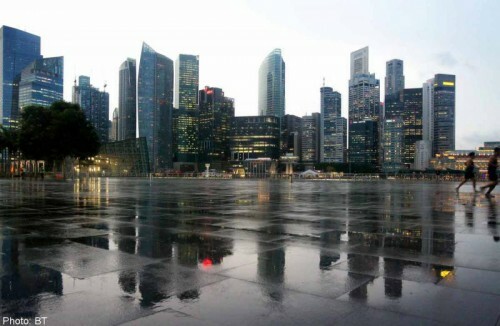 Accountants and business leaders called for more targeted help for businesses grappling with restructuring and moves to address the severe shortage of Singaporean workers in certain sectors. The two issues emerged as the paramount concerns at a pre-Budget roundtable yesterday organised by the Institute of Singapore Chartered Accountants (ISCA). Panellists said efforts to encourage firms to raise productivity need to be more sector-specific. While companies have largely come to accept that restructuring is essential for long-term growth, "the execution of the policy, because it's a one-size-fits-all, has been a blunt instrument", said Singapore International Chamber of Commerce (SICC) chief executive Victor Mills, who was one of the 13 panellists. Schemes like the Productivity and Innovation Credit have helped some firms ease the burden of restructuring but are not targeted enough and "need to be calibrated to different stages of a company's development", said panellist Tay Hong Beng, the head of tax at KPMG in Singapore. An ISCA survey out yesterday showed that most respondents hope popular schemes such as the PIC will remain in place for at least three more years to help firms still in the midst of transforming. The survey polled about 400 accountants last November. The tight labour market, lacklustre global economy and strong Singdollar have also hit sectors like retail particularly hard, said Singapore Retailers Association president Jannie Chan. Describing the situation as "catastrophic", Dr Chan, who is also the executive vice-chairman of luxury watch retailer The Hour Glass, said foreign worker levies and quotas have been a "double whammy", especially since few Singaporeans are willing to work in the industry. Other panellists, including Mr Tan Hee Teck, the honorary treasurer of the Singapore National Employers Federation, said employee attitudes can be an important component in boosting productivity. "Singaporeans don't see certain (jobs) as a profession, they see them as a stepping stone... Every job, big and small, should be a profession that one can be proud of, and that helps with productivity because workers stick with the job and become more skilled," said Mr Tan, who is also the chief executive of Resorts World Sentosa. Mr Mills said members of the SICC welcome the recent policy focus on raising skills at all levels of the workforce, "but a large part of that can kick in only when people improve their attitudes". Panellists also called on the Government to provide more help for small and medium-sized enterprises, which have been hit hardest by ongoing restructuring and also need assistance with taking advantage of opportunities abroad, such as the upcoming establishment of the ASEAN Economic Community.